Wash and soak basmati rice for 20 mins in 2 cups of water. 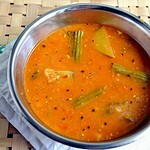 In a cooker base take the oil and once its hot , add cinnamon, cloves , cardamom , bay leaf and star anise. Then add the sliced onions and ginger, garlic and saunf paste. Saute well till its raw smell vaporizes.Now add half of the mint , coriander leaves and green chillies. Mix well . Then add the finely cut tomato pieces and saute till it turns mushy. Now add all the powders , cashew paste and mix well for few mins. Finally add the cut vegetables with the required salt and toss it well. 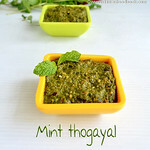 Add the soaked rice with water , curd and the remaining mint &amp; coriander leaves.Pour a tsp of ghee . 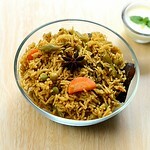 Close the cooker and cook for 1 whistle.Yummy , Flavorful biriyani is ready to be served hot with onion raitha !! you can also put in Dum as shown in the pic below. 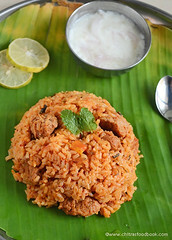 We always want the briyani to be less spicy and mild in flavors. Please adjust the above said ingredients according to ur tastebud. If u wish u can fry the rice in ghee before soaking in water. I am big fan of briyani! 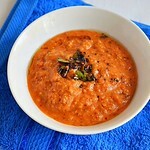 Sure adding cashew paste is new to me and gives a rich taste,will try that idea! i usually try only with red chilly powder...nexttime will try with coriander powder also...surely it will taste one. 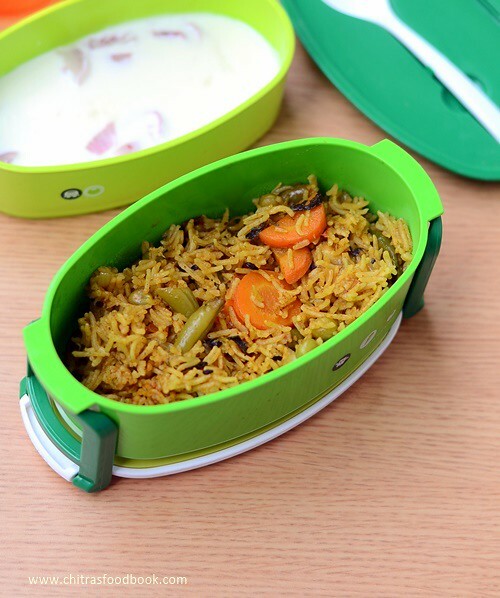 veg briyani looks colourful and healthy! Perfect Biryani....So colorful too !! Delicious, colorful and tempting biryani. 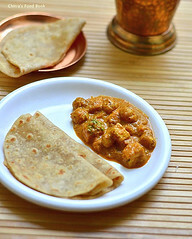 Love love biriyanis like this, looks so so delicous. Wow! wonderful click. Very tempting presentation. Love ur biryani very much..
i love all biryanis...this looks awesome!!! very simple one..sometimes i prefer to do this.the addition of cashew paste is new idea..will try it.biriyani is everyones favorite right.sure will share u the recipes..
Biryani looks delicious, lovely color! 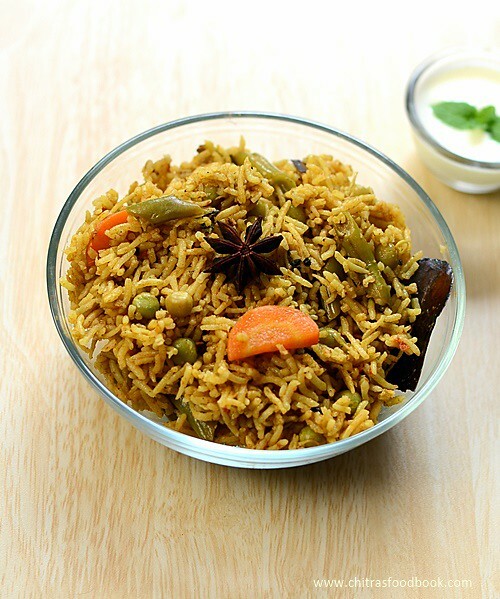 Vegetable biriyani looks really nice. I love the color. Delicious and my favourite biryani, looks truly awesome..
Looks yummyyyyyyyy... mouth watering recipe.. perfect click!! wow, that's a tempting pic. 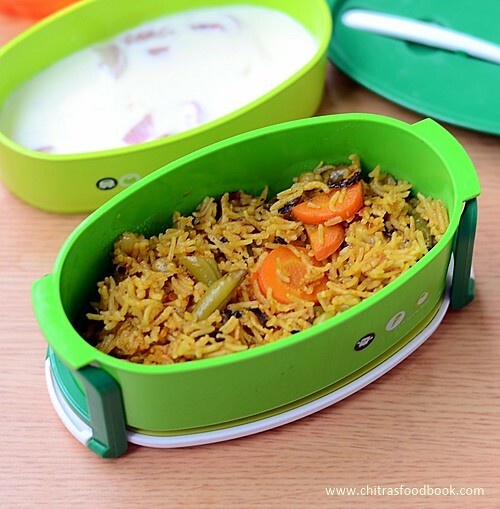 Biryani looks so colorful and yummy Chitra!! I can smell its flavorful aroma dear. 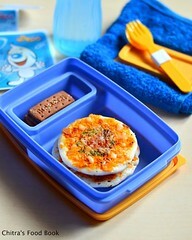 Great blog and yummy looking Biryani! 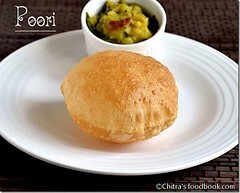 Superb biryani Chitra. I too like the AAB's biryani....mysore pak and chaat item also tastes great there....looks very delicious dear. I tried this biryani recipe now and it came out really good.. thank you for the recipe.. i followed your recipe completely except for the spice level..
Biriyani looks colorful and yummy. Oh! This looks so good! 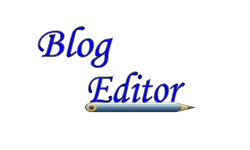 Lovely blog, I'll be back! My all time fav. 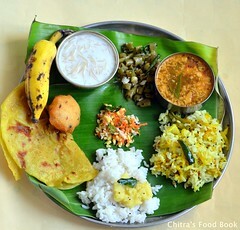 Nice way to eat all veges in one meal. YUM! 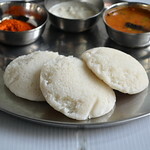 Tried this recipe as i got tempted by your recipe and it turned out really tasty.Thnaks for sharing. Today tried for lunch and turned really delicious and tasty.Thanks for sharing such a nice recipe.